Christmas is just days away with New Year’s parties right on its heels (and my birthday the week after that!) which means that while your best intentions of making that homemade Buche de Noel sounded like a great plan a week or two ago, life took over and you now are in desperate need of tasty, delicious, and (for good measure), somewhat healthy last-minute appetizers and desserts. Well, look no further because I have some tricks up my sleeve that I want to share with you. And, if you promise not to sell me out the next time you notice that the giant lemon squares I bought at a favorite bakery, sliced into small squares, put in my own gift box, added extra powdered sugar, and gifted (technically, I didn’t claim I made them…) weren’t really mine then I’ll let you in on some of my favorite tricks. Shhh…..!!! I’ve paired up with Sprouts Farmers Market to bring you some of my favorites. The best part is that all of these shortcut ingredients are sold there often in their organic form and for a fraction of what you may pay at a specialty market or traditional grocery store. 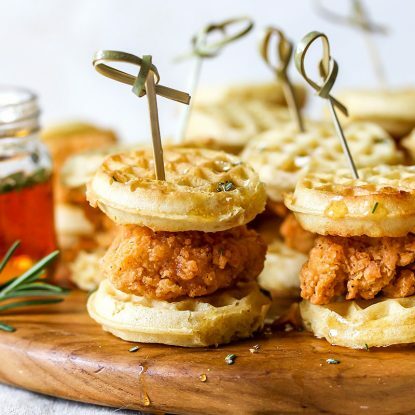 Check out these ideas for how to transform store-bought foods into something homemade and spectacular in just minutes. 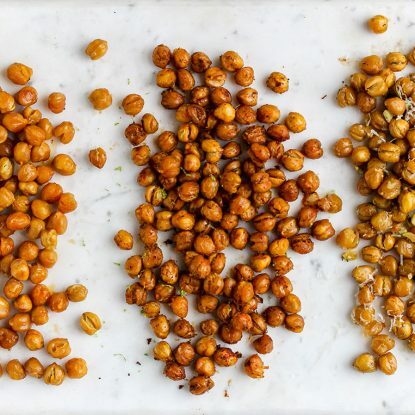 I have a favorite homemade tahini-free recipe that is such a cinch and works every time I make it. However, with two wild women always on my heels, even my easy recipes don’t always get made. 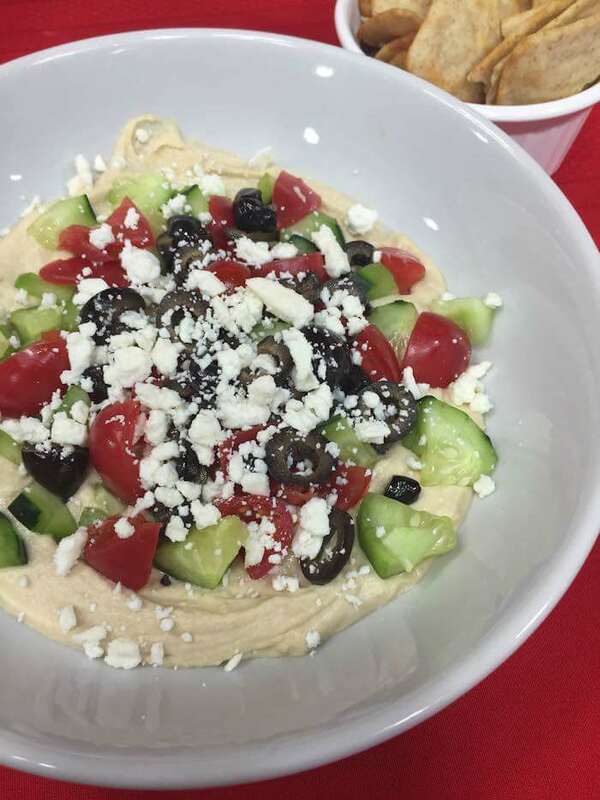 If I’m entertaining or need to bring an impressive-looking appetizer to a party (especially when I’m in need of last-minute appetizers), I buy store-bought hummus, top with chopped cucumbers, tomatoes, olives and some fresh basil and call it my own! Fancy this up by serving with English cucumber slices (no peeling and no seeds = win-win), Mediterranean-flavored pita chips, naan chips or bell pepper slices. Another super simple, favorite convenience product hack that I do all the time is to take pre made guacamole from the grocery store and stir in fresh pico de gallo (found in the produce section). If I want to get fancy, I’ll stir in some fresh cilantro or even some fresh avocado to make it chunkier. Then, instead of traditional tortillas, I serve with Terra chips (yummy root chips like sweet potato, beet, and parsnip). 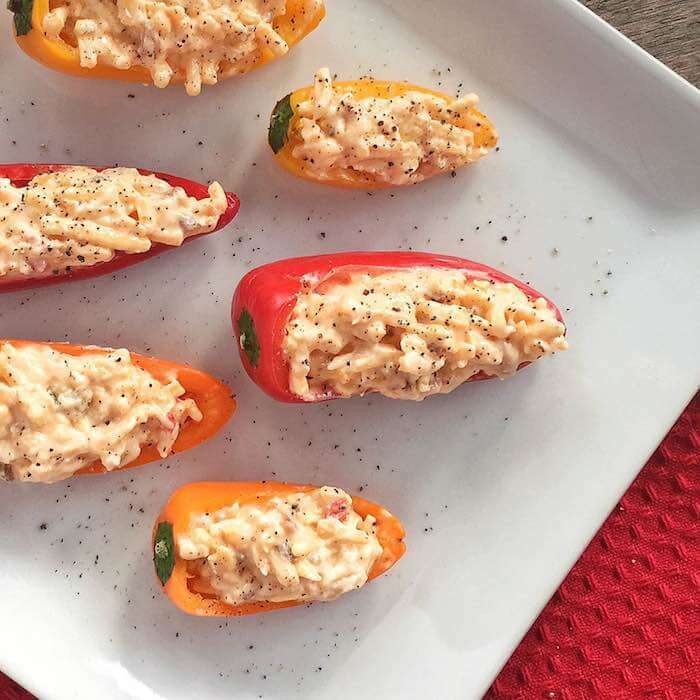 I’m slightly obsessed with my Lightened Classic Pimiento Cheese but when time is of the essence, I buy the Palmetto Pimento Cheese (it’s the best store-bought variety in town), and stuff it into mini sweet peppers. Make sure to cut a long slit in the pepper (I usually cut an oval so there is plenty of room for stuffing), scrape out the seeds, and then spoon in the pimento cheese. Fancy it up by popping under the broiler until the cheese is bubbly. You can also top with crumbled bacon and cracked black pepper. I love fresh tortellini in the refrigerated section of the grocery store because it cooks in just 5 minutes. Use your water boiling wait time to wash and prep veggies for these simple skewers. 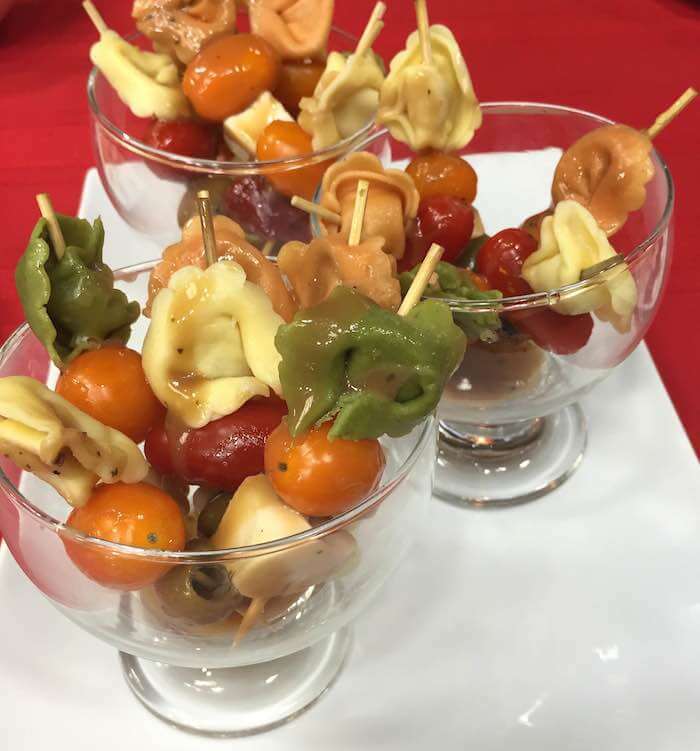 I like to hit the antipasto bar at the store to find marinated mozzarella or cheddar, olives, roasted bell peppers and more so all that is required of me at home is to cook the pasta and thread the ingredients on. You can fancy these up by using various colors of grape tomatoes and olives as well as drizzling with a balsamic glaze or even classic bottled balsamic vinaigrette to finish. 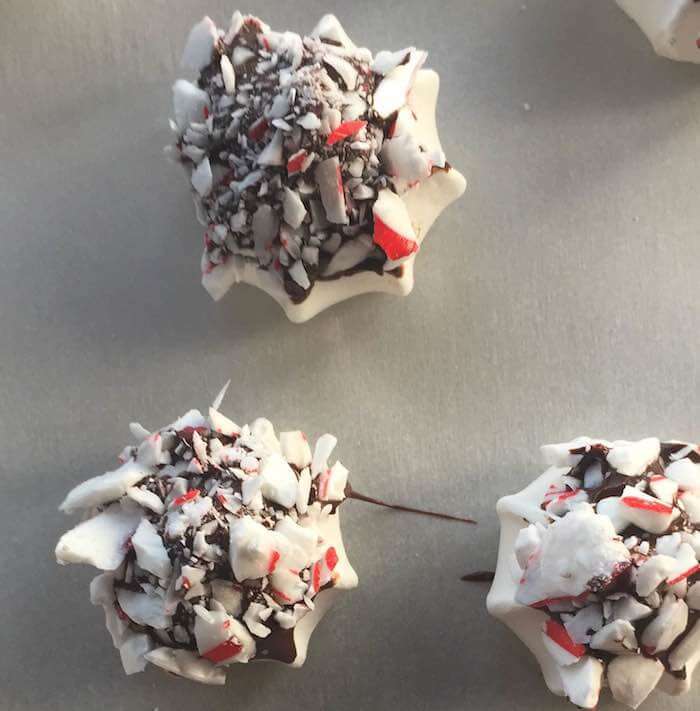 Fancy them up by sprinkling with crushed peppermint, chopped pistachios, fleur de sel, or rainbow sprinkles as requested by Ellie and Frances. 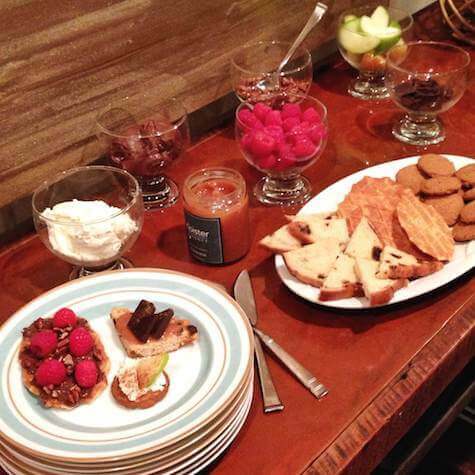 Finally, if you don’t really feel like making anything and don’t mind assembling individual ingredients into bowls and on platters, then set up a dessert crostini bar and let people DIY. 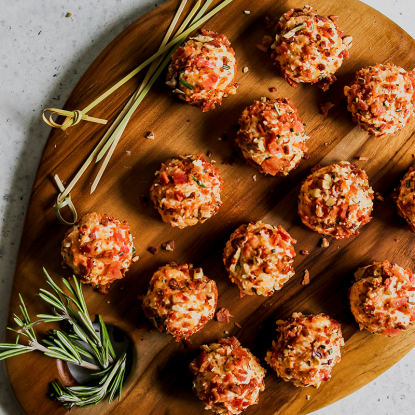 Whether you’re feeding a few or entertaining a crowd during the holidays, there’s always the added stress of finding the perfect recipe to please everyone’s palettes and preferences. Fancy it up by offering a variety of unique bases, spreads, toppings, drizzles, and sprinkles. My Dessert Crostini Bar blog post shares dozens of ideas as well as ten possible flavor combos sure to delight your guests. Disclosure: Thanks to Sprouts Farmers Market for sponsoring this blog post as well as the TV segment (scheduled to air 12/24/15 in Birmingham, AL) featuring many of these ideas. All of the tips and recipes shared in this post and on TV are my own.